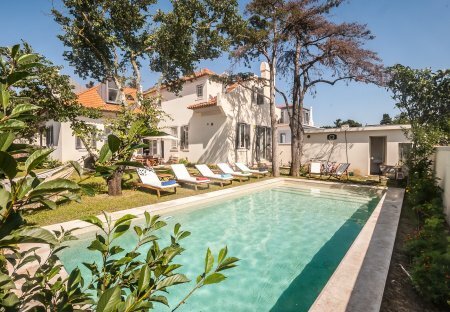 This beautifully furnished 3 bedroom villa in Lisbon centre comes with a private pool, spacious garden and library, located 100m from the local restaurants and amenities. This 3 bedroom apartment is located in Santa Maria dos Olivais and sleeps 6 people. It has WiFi, parking nearby and a gym. This 2 bedroom apartment is located in Santa Engrácia and sleeps 4 people. It has WiFi and air conditioning. 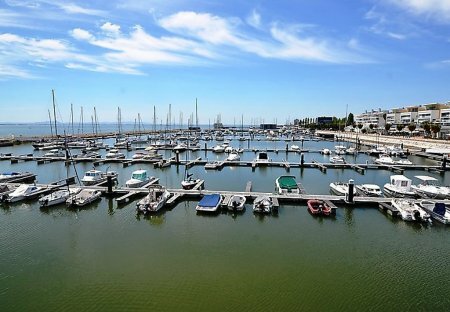 This 1 bedroom apartment is located in Castelo and sleeps 4 people. The apartment is near a beach. This 1 bedroom apartment is located in Săo Vicente de Fora and sleeps 2 people. It has WiFi. Casa Aroeira Roses is a great five bedroom villa suitable for 10 guests, with private pool, just a short distance from Aroeira Golf Resort and the beach. Tucked away in a quiet location. This 1 bedroom apartment is located in Alcântara and sleeps 4 people. It has WiFi. Outstanding apartment full of character and personality located in Bica, along the famous "Ascensor da Bica" . This 2 bedroom apartment is located in Anjos and sleeps 4 people. It has WiFi. This apartment is a fantastic T3 with 170 m2 which can take up to 6 people, with private outdoor terrace and air conditioning, located in one of the most emblematic streets of Bairro Alto. This 4 bedroom apartment is located in Săo Jorge de Arroios and sleeps 9 people. It has WiFi, garage and parking nearby. Located in neighborhood of Bica, accommodates 6 people with style and all the comforts of a 5 * hotel. This is an exceptional 3 bedrooms serviced apartment, ideal for those who want to combine quality, comfort, charm with a central location, set on the 3rd floor of a historical building.